NY Side 1: Here the statue of liberty is the main focus, up the chest and large leg of the donkey. She is in front of the American flag, which is where the lettering will be placed. The red and white stripes fade over the top of the donkey to create the red sky and clouds on the other side of the donkey. The head of the donkey is a beautiful cloudy, blue, sunny sky. On the back haunch of the donkey is the Montauk Lighthouse, with a rocky coast and ocean water leading down the donkey's leg. NY Side 2: Here, the Freedom Tower is the focus of the piece. The new building will be the height of the donkey, as the cityscape fades into evergreen trees to the right over a sunset. From there, we see cliffs on the left side of Niagara Falls, which falls over the back of the donkey. On the bottom, near the leg, is the famous tour boats that go into the spray of the falls. Below the boat the leg will be painted with rippling water. Montana Side 1: I incorporated the large bear head, a mountain range in beautiful blues and purples, and a skier on the rear haunch of the donkey. The head of the donkey is a night sky, milky way galaxy, different colors. On the legs of the donkey there are ski tracks underneath the skier, the other leg is grass under the bear's paw. Montana Side 2: Here, the rodeo rider is the main focus. He is on a bucking horse in front of a beautiful faded sunset of reds, pinks, and oranges. On the right side of the chest is a glowing and illuminated tent under a night's sky. Behind the rodeo rider is a sky that fades from dry grassland to snow across the back of the donkey, which leads into the snowy mountains on the other side. Recently I saw 2 (countem' - two!) shows on the same evening at PHIT, which means I should get an award or something. Actually my lovely boyfriend should get an award for volunteering to go grab me more cider between the shows (he doesn't drink...and I was wearing heels. Isn't he a gentleman!?) Anyway, I was happy to be drawing some of these folks for the second or third time. Some sketches came out good, some didn't, as always, but that's why it's called practice. ' All the sketches were completed quite quickly, most under 5 minutes, with a ballpoint pen. The exception to this would be the drawing of the Mean Wendy Band, which was about 10-15 minutes I believe. There might be three shows in here, I'm not really sure. As always, you guys are welcome to pull any of these images down to use on facebook or whereever, but please be sure to link to my website either in the description or you can leave the watermark that I have inserted on the pages. (www.katiehaire.com) I'll be at a show tomorrow night ("Brought to You By...") and am looking forward to seeing some familiar faces there. For those of you who may have missed it, I did a spot illustration for a talented and creative writer, musician, and colleague of mine: Daniel DiFranco. He wrote an immersive short story titled The Moon is a Wasteland, about a boy unlucky in love. He asked me to do the illustration, which I have colloquially dubbed "Loopin' Moons." It's a quick and thoughtful read, and I recommend you take the time to enjoy it. 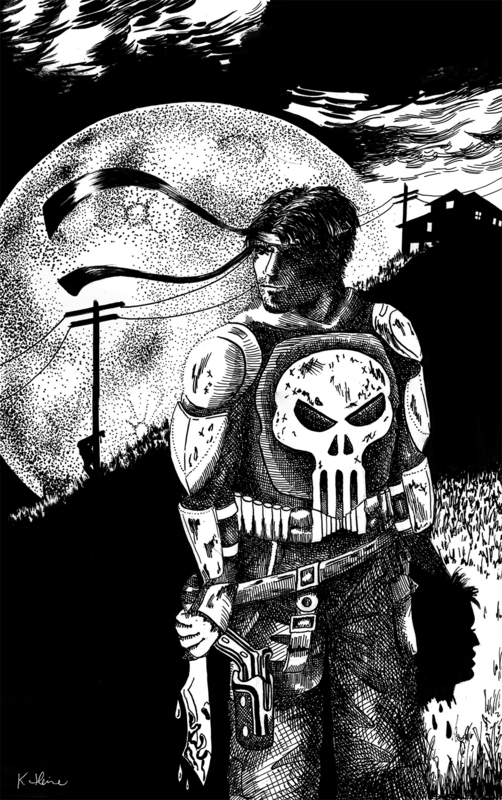 On a personal note, this piece is an important stepping stone for me, as it was done almost entirely digitally. I am forcing myself to use my tablet more and more so that I have more weapons in my arsenal. I am pleased with the illustration and am still convinced I'm going through a "Blue Period" of my own. I am looking forward to illustrating more editorial and short-form styles, and hope to get more jobs like this in the future. Below are some process shots...a nice little portrait commission for the very Philadelphia Comedian...the very funny Joe Moore ! 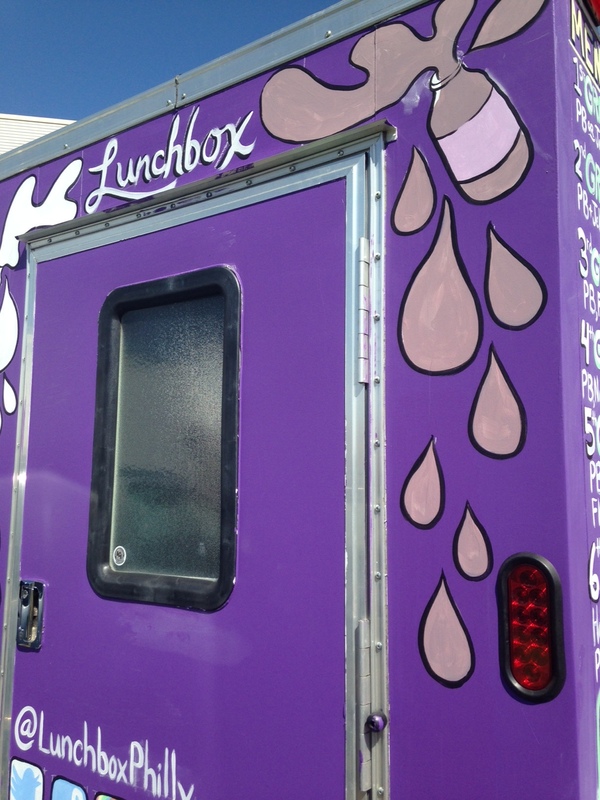 For the past few weekends I had been working on a food truck for Lunchbox Philly. Lots of people came up to talk to me about the truck wanting to know about it. 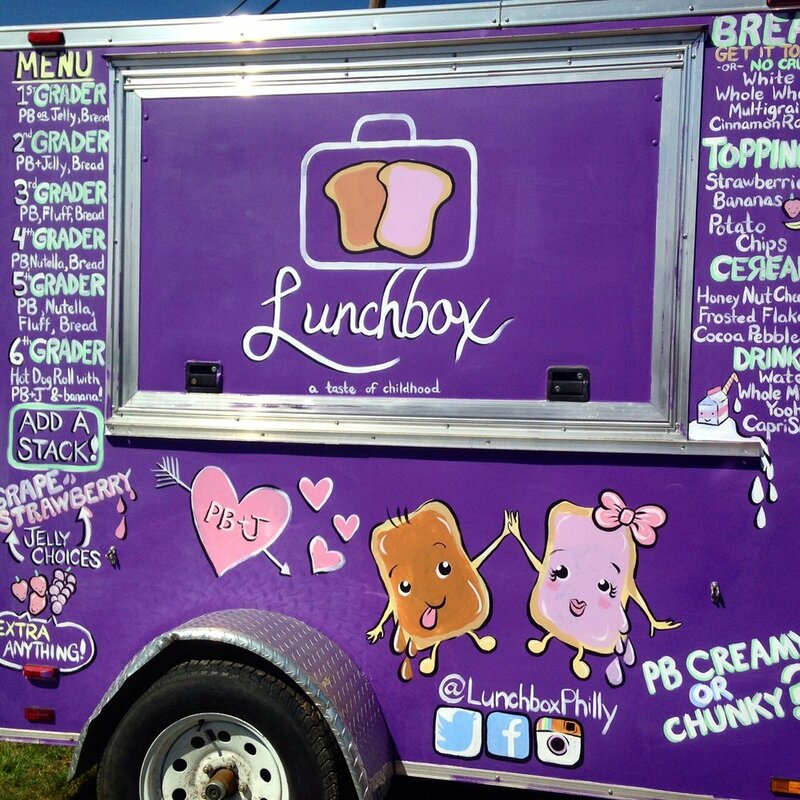 The food truck serves different variations of gourmet peanut butter and jelly! mmmm! The truck will be in West Philly and North Philly, as far as I know. 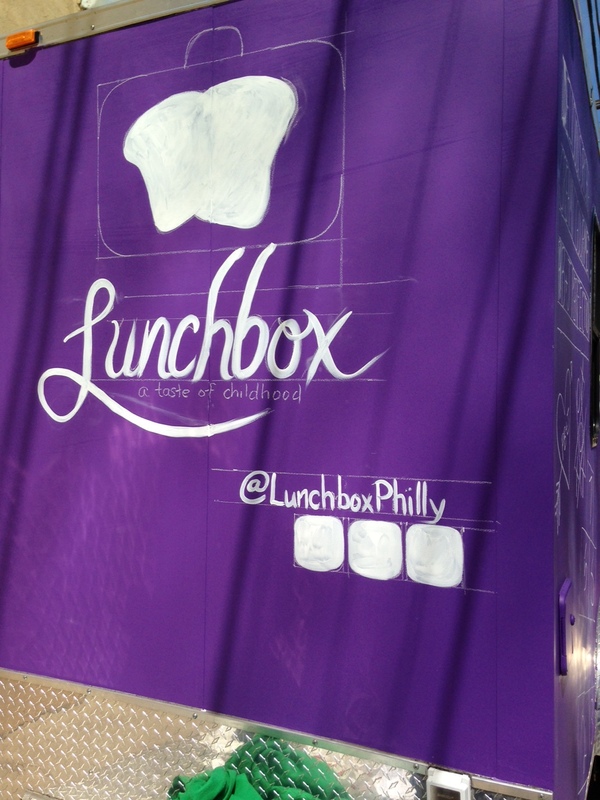 Check them out on social media...@LunchboxPhilly Below are some process photos to finish. Enjoy! Flannelpalooza Chuckoachella is "This faux festival will include a variety of Philadelphia based musical acts that cover the spectrum of performance art, satire, parody, and comedy." Last sunday I checked out the last performance of Five Dollar Comedy Week here in Philly at the Plays and Players Theatre. There were 60 performers each doing a 1 minute monologue. I secured a place in the back of the theatre, which probably wasn't the best idea in hindsight. The seats around me quickly filled and soon I was trapped. That seat will have to do! It was a tight squeeze to get my drawing supplies out. There was a bright screen on stage that said each performers name. The screen was blinding to me, but only because I kept looking down at my sketchbook to draw. It was hard to transition from looking at the bright light to looking at a dark page, but I really liked the touch of having each performers name displayed on stage! 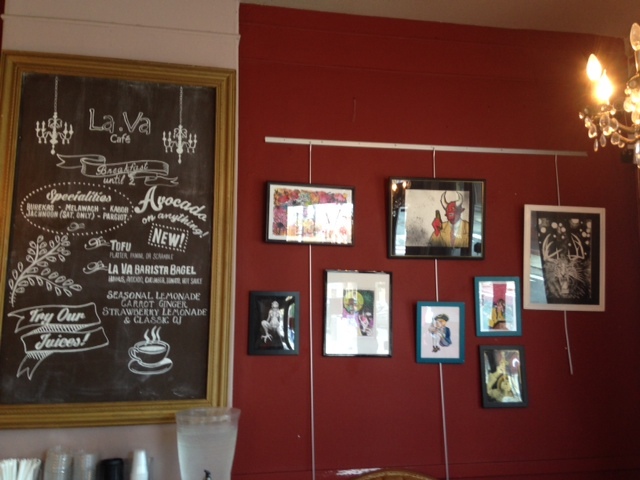 The acts were really funny, I had a great night of laughing and drawing. Below are my sketches of every single performer...except 1 that was only over the loudspeaker, and another being the 2nd mime.) Yes there were 2 mimes. I wish I had a picture. I hope all the performers can see their image... and let me apologize in advance. Remember - sitting in back, bright lights, 60 seconds to draw AND write a line from the set. I consider only some a success but the sheer number of them is something pretty cool in my opinion.